Happy Friday everyone! Today's song of the day is "Kiss Cam" by Toronto indie rock band, Arkells. They have recently announced the new record release. 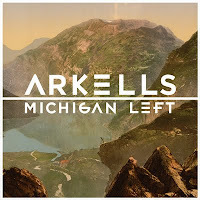 The Juno Award winning outlet is set to release their sophomore album, Michigan Left on October 18th, via Universal Music Canada. Here is the new single from the album, "Kiss Cam"! Check it out!! !